ON DISPLAY at the NEWPORT BROKERAGE BOAT SHOWSept. 13-16, at the Newport Shipyard, Newport, RI. The talented craftsmen of the Lyman Morse Boat Building Company in Thomaston, Maine, combined traditional woodworking skills with modern composite construction techniques to create the magnificent sailing yacht WINDWALKER II. Her beautiful profile and exquisite joinery details, all maintained "like new," will impress anyone. This handsome shoal-draft centerboard design by Ted Hood is easily driven in light winds and is seakindly offshore. The incredible equipment list allows for safe offshore sailing and comfortable extended cruising. Recent significant upgrades include new engine, generator, teak decks and flush deck hatches. 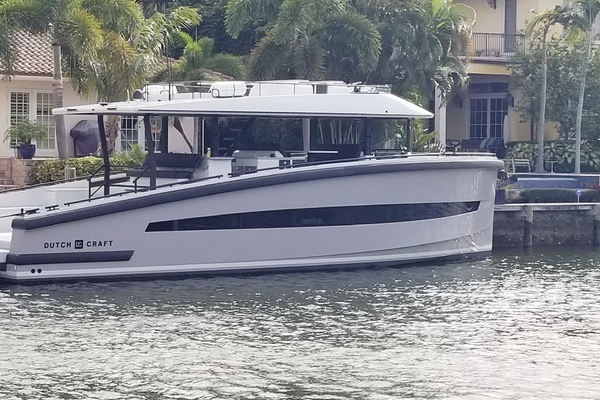 Without a doubt, the combination of Lyman Morse’s fine Maine craftsmanship, Ted Hood’s proven design performance and a dedicated owner make WINDWALKER II the finest yacht available in this size range. 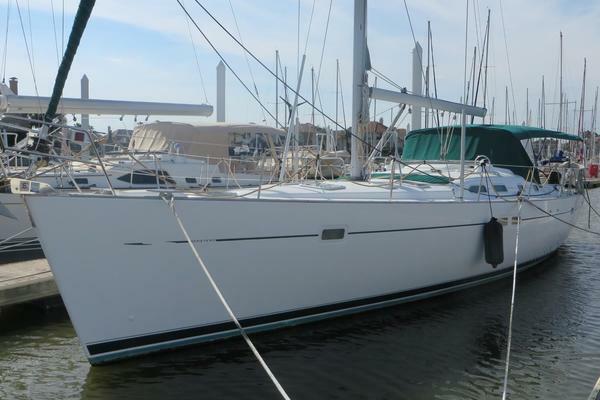 United Yacht Sales New Jersey would love to guide you through a personal showing of this 60' Lyman-morse Hood Custom 60 1999. This yacht for sale is located in Newport, Rhode Island and priced at $1,250,000. For a showing please contact us by filling out the form on this page and we will get back to you shortly! The hull was laminated using the Scrimp resin infusion process, creating a hull lamination that is completely uniform in the resin-to-fiber ratio as well as complete adhesion of the foam core material to the inner and outer skins. The Scrimp process results in an extremely strong hull and internal structure. Because of the owners’ desire for a traditionally styled interior and exterior, the deck of WINDWALKER II was built with a varnished teak cabin trunk with beautifully laid teak decks that were completely replaced in 2016. The deck was laid over laminated teak and ash deck beams, creating a beautifully detailed interior overhead scheme. Topsides are black Awlgrip with clear coat. Gold leaf cove stripe, single white boot, green bottom. Painted rubrail with stainless striker (all paint new 2013). Bottom was soda-blasted with new epoxy barrier coat, 2014. Her centerboard configuration offers minimum draft of 6’-6” with board up and maximum draft of 13'-8” with board down.